Perfect digital music for the Apple Ipod player. Bob Marley often quoted a biblical proclamation, “Many Are Called, Few Are Chosen“. 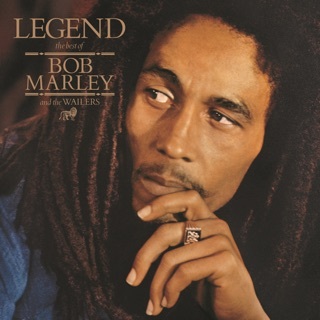 You could say about Bob Marley’s music…Many Hear, But Few Listen. In the early part of his career, Bob Marley was called “Musical Prophet”, and after his untimely death in May 1981, he was titled “Legend”. You will not hear much from the Musical Mystic’s voice on this recording. 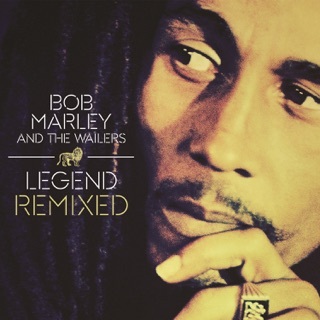 The Rock N’ Roll Hall of Fame has acknowledged Bob Marley’s music and message. Instead, Dreams Of Freedom highlights the remarkable musical range of the worlds’ most preeminent reggae band. 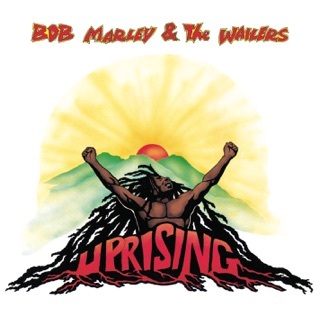 This album gives the listener an opportunity to evaluate the amazing reggae band that Bob Marley handpicked as the Wailers. Rita Marley, Judy Mowatt, and Marcia Griffith. Glenn Da Costa, Vin Gordon, David Madden. 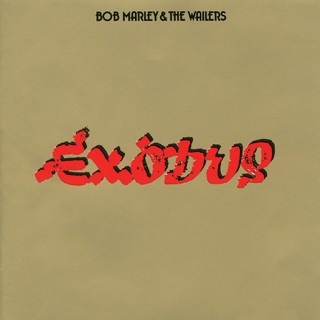 provided by the I-3‘s were not used for this track on Exodus; backing vocals on the original 1977 “Waiting in Vain” Exodus track were provided by Bob Marley, and duded into the track. on vocals. This album showcases the I-3’s remarkable talents. Their individual voices are clearly audible on all tracks. The I-Threes never sounded better. Police car sirens, and the Police saying “Get Down, Get Down”? 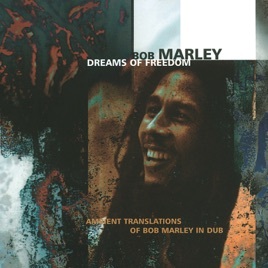 These effects were digitally integrated into this track by Bill Laswell, who is an expert computer digital music Ambient Translations Engineer, who was commissioned by Chris President Blackwell, the President of Island Records to bring selected Marley masterpieces into ambient translation. “Heathen” originally recorded in London England, and released on the Groundbreaking 1977 Exodus album; this is the second best track on Dreams Of Freedom. Carlton Barrett’s Hi Hat drumming shines thought, or is that a digital drum machine injection. 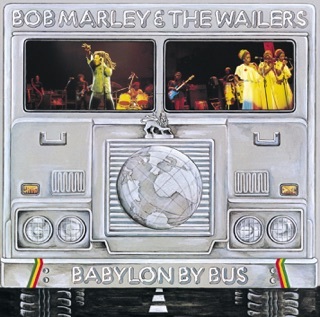 Junior Marvin‘s lead guitar chords on this track and “Exodus” are unmatched by any other reggae guitarist. Tyrone Downies’ - keyboards interpretation on this track, demonstrates why Tyrone is the best in the business on keyboard. Aston "Family Man" Barrett - Bass guitar is the rock that Marley build his music on. The I-threes chant, “ Put Da heathen back dey 'pon de wall! This track clearly demonstrates why Bob Marley and The Wailers are the finest reggae band of all time. “So much trouble in the world” appears to be a brand new version. It is very interesting to see just how many sound effects Bill Lawson has managed to edit digitally into this track. Some of these effects Ambient effects are flowing and are very slight, as not to alter the original track feel; some of these special effects may very well go unnoticed through Stereo Loudspeakers, but ring true to life within any Apple Ipod Player. Al Anderson’s Lead guitar on Rebel Music (3 O’clock Road Block), and “No Woman, No Cry” are masterpieces . 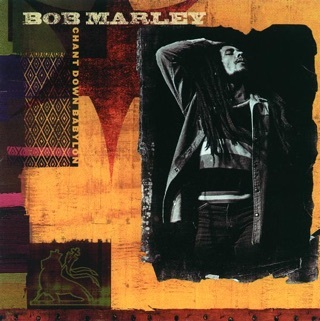 Some consider Marley’s “No Woman, No Cry” as the best song in the History of Reggae music. Anderson’s lead guitar performance on Rebel Music, No Woman, No Cry, and Dem Belly Full (Natty Dread 1974), are considered the Gold standard for reggae lead guitar. Bob Marley was fortunate to have two of the very best Lead Guitarist in reggae history - Al Anderson and Junior Marvin. Dreams Of Freedom: Perfect digital music for the Apple Ipod player. Bob would be proud! A classic; dubbed-up, yet mellow.